Investment Casting Case Study | Eagle Precision Cast Parts, Inc.
How Eagle Precision took a 9-piece fabricated part and re-designed it into a single casting – all while reducing costs and improving aesthetics. The customer approached Eagle Precision Cast Parts with the goal of improving aesthetics and reducing production costs for their fabricated “mechanism support” product. The product was an integral part of a steam trap assembly, and was in high demand. However, the customer’s manufacturing process was inefficient and resulted in a low quality/cost ratio for the parts. Experts at Eagle Precision reviewed the fabricated part and developed designs that would allow a cast version of the part to perform as well or better than the original. The casting also had to achieve the customer’s goals of aesthetic improvement and cost reduction. In order to prepare the product for casting, Eagle Precision’s engineers re-designed the product from the ground up. Working together with the customer, they developed designs that maintained the functionality of the fabricated part while improving upon the original design. 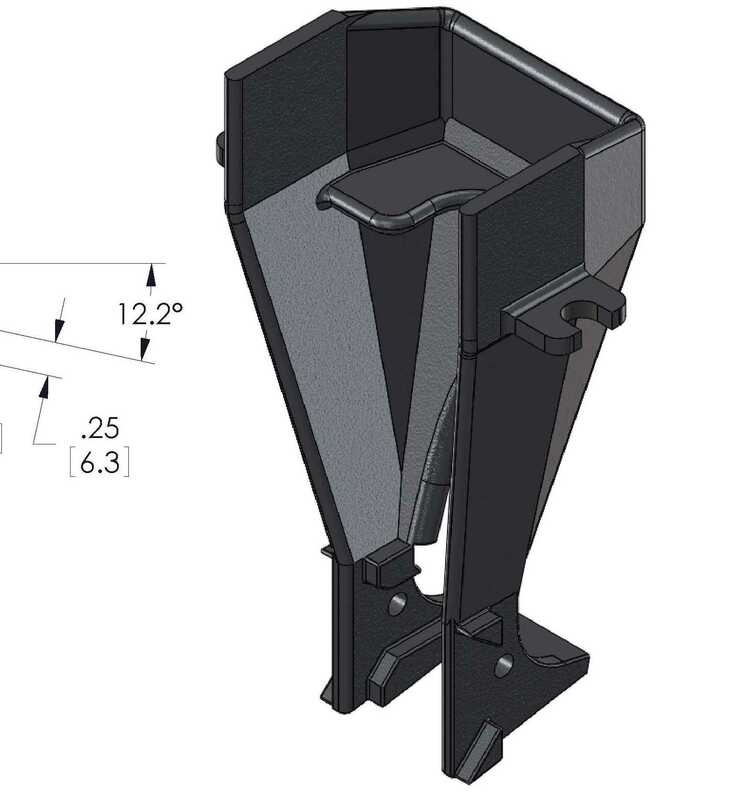 To improve the castablity of part, Eagle Precision made design recommendations that included adding radii to all sharp corners to improve the metal flow. Due to the increased strength of a casting over the previously fabricated part, wall thickness and sizes were able to be reduced, resulting in a reduction in the overall weight of the casting. The investment casting process, used by Eagle Precision, lends itself well to fabrication-to-casting conversions.Compared to other metalcasting methods, investment casting can adhere to tighter tolerances and provide a better surface finish. Often, as in the case of this part, finishing processes, like welding and machining, can be eliminated. The re-design stage lasted 4-5 weeks. Once the design was finalized and approved by the customer, Eagle Precision ordered tooling. Tooling was completed in another 4-5 weeks, and 3-4 weeks later the first shipment of samples was provided to the customer. The overall process, from the customer’s initial consultation with Eagle Precision to the delivery of the first shipment, took approximately 17 weeks. Smooth contours and more uniform surfaces resulted in improved aesthetics, and a more “expensive-looking” part. Welding and machining were eliminated, and Eagle Precision was able to deliver a finished part as-cast, ready for assembly. The client was able to free up their employees and floor space for other tasks. Eagle Precision Cast Parts continues to produce approximately 1500 of these mechanism support parts per year.